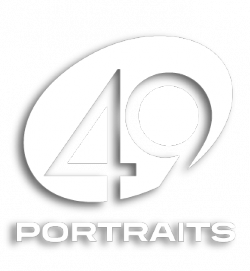 Participating in the “49 Portraits Project” was a a very moving experience. Trough this painting process I connected with Eric Ivan Ortiz-Rivera in a unique way. When observing his photo wholeheartedly, I experienced a communion with his essence. There is a profound meaning to be found in that place where we overlap. My painting is meant to be a witnesses of an extra-ordinary moment, and my intention is to engage the viewer emotionally.